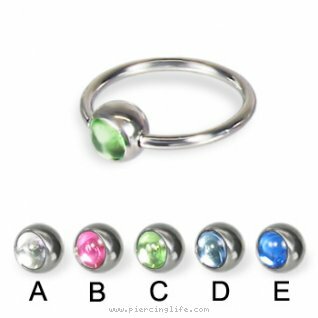 urlname = Captive bead ring with cabochon ball, 16 ga. Piercing,male bead ring,ear piercing,female piercing. Shown: 12mm captive bead ring. Piercing,male, piercing, ring,ear, bead, piercing,lip, piercing,female, captive jewellry..